If you’ve been following what Marvel’s been up to for the past year or so, then you know how much fun they’ve been having with the Punisher. Not only has he turned a lot of heads by donning the War Machine armor in his current series, but he’s also been revealed to be the Cosmic Ghost Rider in the wildly popular “King Thanos” story arc, which the House of Ideas have decided to spinoff into its own series. As cool as all that is, the demand will always be there for a more traditional Frank Castle – not to mention the purists among you who probably scoffed at some of the stuff we just mentioned. Either way, one of comics’ greatest anti-heroes will soon be among those to get a relaunch as part of the publisher’s Fresh Start initiative this summer. While we’re waiting on the tally that may reveal whether or not this character can lay claim to the most relaunches in history, I must say that what’s on Rosenberg’s agenda does indeed sound satisfying. Plus, he promises “that issue #1 has some of the biggest bad guys in the Marvel Universe pop in,” so it should be intriguing to see who Castle deals with, and how. 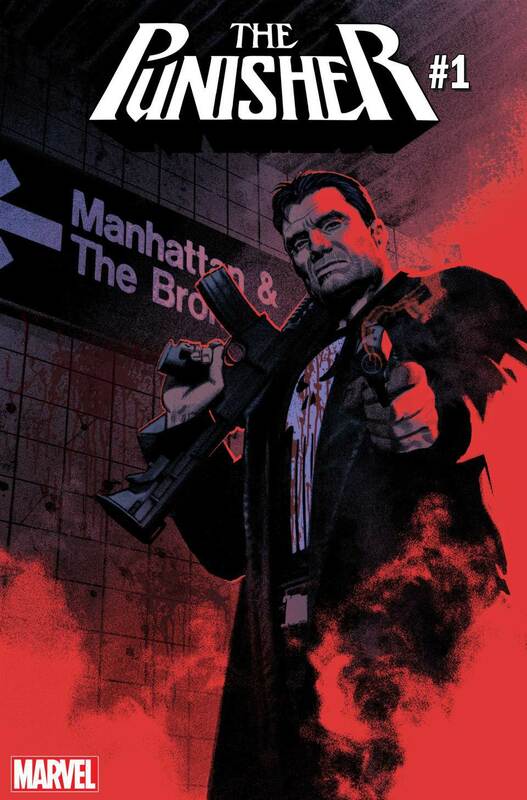 The Punisher #1 arrives in comic shops on August 1st.